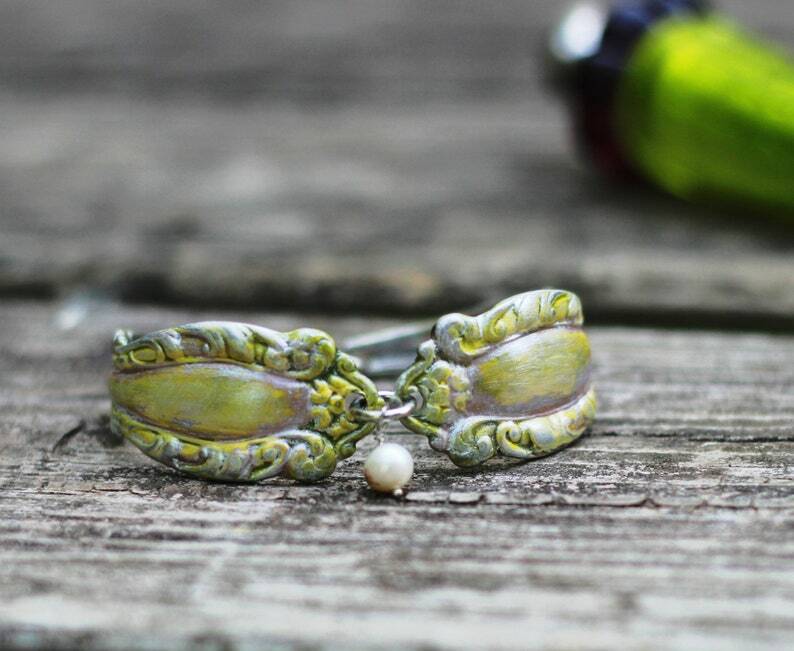 I start with 2 matching vintage silver plated spoons and turn them into a bracelet. I do this by hand ~ hammer,shape,file,and polish until the final piece is complete. Hand painted with metal patina in a Jade and Citrine mixed shade then buffed with a pearl finish. Slightly distressed.Finished with a freshwater pearl. Can be removed if requested.